YO! 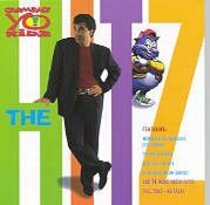 KIDZ: THE HITZCarmanFeaturing a selection of the best-loved songs from the Yo! Kidz series,this compilation is sure to go down a treat with your children. Childrencant help but enjoy this cool music for kids, and they cant help butbenefit from the positive lyrical content. From Word.